Here’s a list of the most common designers’ mistakes. It’s helpful to review it before you are thinking of proposing a project idea, when you are working on the project, and before you submit the final project. Once you have reviewed the Pit Falls, you are encouraged to read "You Want to Submit a Project Idea…Where to Start" and "Congratulations! You’ve Received the Go Ahead." Designers do not follow company’s guidelines. Do not submit your ideas or proposal to more than one manufacturer/editor at the same time. When submitting yarn swatch(s) with your idea or proposal to a yarn manufacturer, always use that company’s yarn(s). Designer fails to provide body measurements or they are poorly calculated, especially when sizing up and especially for men’s and children’s garments. Sizing charts from the Industry Standards & Guidelines web site (www.YarnStandards.com) are not followed, which frequently results in the problem of “gorilla” arms. Instructions are provided for only one size. Gauge swatch is not made in the pattern stitches, nor using the hook or needle size most used. Most importantly, the gauge swatch does not match the project submitted. Designer used discontinued yarn colors. Accessories are not indicated in the Materials Supply List. Quantities of button and button sizes, specific lengths of ribbon when required, or purse handle size are missing. Designer submits “general instructions,” leaving the pattern writing and sizing to tech editors. There are no written instructions, just a sketch with measurements. Project math is incorrect—numbers don’t add up. 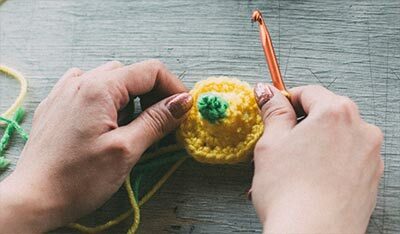 Stitch counts—especially at end of increase/decrease rows—were not included in the instructions. Standard punctuation and pattern language were not used. Designer does not explain nonstandard abbreviations. Pattern repeats are not indicated; rows and stitches are not indicated. There was not general description of item included in the instructions. Right side/wrong side or left side/right side are not indicated on the pattern. Designer does not take notes while they are creating garment and they could not remember what they did. Designer fails to keep a record of her work so when tech editor calls she cannot answer intelligently. Designer sends in the garment to make a deadline before writing the pattern, and then writes the pattern relying on notes. Designer fails to provide detailed schematics. Schematic should include length from shoulder to bottom, width at armholes, depth of armholes, length from cast on/foundation row to armholes, sleeve length and for hats circumference at widest point. Designer fails to provide stitch pattern charts and/or color charts (Intarsia). Designer does not prepare schematics based on measurements of the finished pieces BEFORE they are assembled. Designer provides photos for a technique because she cannot put it into words, expecting the tech editor to do it. Schematic is not drawn to scale. Do not size by changing hook or needle size. Do not block acrylic yarn with heat. 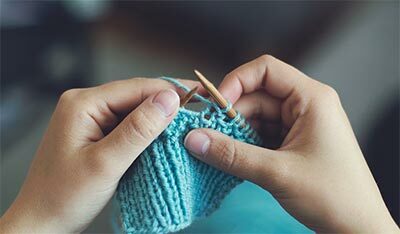 Do not knit or crochet while you smoke, eat or are near animals. Do not make changes in the contracted project without prior permission. Do not submit project without instructions, schematics or charts. Do not make the project in any other size than what the contract states. DO NOT BE LATE WITH YOUR SUBMISSIONS!